Thank you! I really enjoyed the 50 miles, despite the last minute changes to the course due to the flooding, and the fact that I was in California with work until the Friday evening before the race on Saturday, so was running with jet lag… and that my training and running buddy pulled out at the last minute with flu, so I was running by myself instead of with a partner as I had planned / expected … despite all that, it was a great day out. I think I got away lightly, with no injuries at all. I just washed my spyridons out at the checkpoints to get the grit / mud out, and it was all good! I admit I was pretty angry with whoever invented ‘stairs’ on Sunday, but I was back and running again after a few days. It’s all about the amazing technique you have taught me, and I try to practice – and for that I am forever grateful. 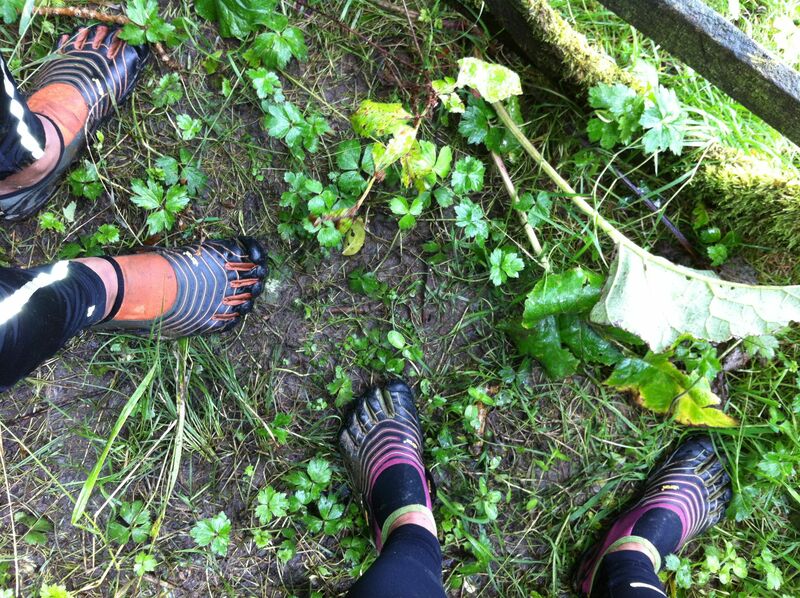 Seriously, the running journey I have been on with you – having initially found out about Barefoot Audio, probably about 3 years ago? (I can remember so very very vividly the first run I went on with Apollo 3… I was running around Richmond Park, and can you tell exactly where I was on the 7 mile circuit when I first crossed my arms and found the counter rotation… the hill I was going up when I first ‘polo minted’ and the smile on my face when you get to the power on running ;-)), via the marathon when I listened to Apollo 3, over and over to get me through the race… to the courses last year (hills! I love hills now!) and then the recent 50 miles… well, its probably changed my life more than having children! I am enjoying running so much more than I ever did, have recovered from all the knee problems I used to get, and really look forward to getting out and amongst it, and being as efficient as I can. ‘Out of breath’ is not a concept anymore when running!